Now you can add videos, screenshots, or other images (cover scans, disc scans, etc.) 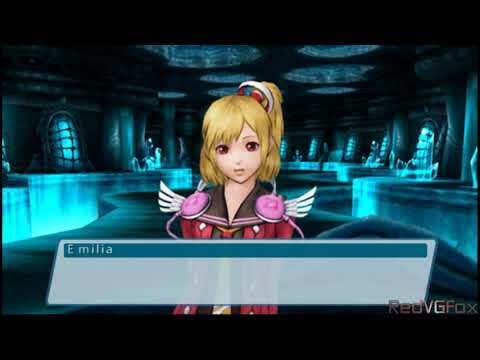 for Phantasy Star Portable 2 (Europe) to Emuparadise. Do it now! ___________________________ ______________ | \ __________/\ /______| _ _____ /______________/\ \_ _ \_ _____/ | / _ / / \ \ | _/ / \_ | / / / \ \ \_ | \ _/ _________/______/ /___________/ / _ / | \ ____________\ /______/ \________ / / | _____\ / __________________ ________________ /_______/ / |/ \_____/ \ ___ ___ \ \ _ / / ____\ /______/ _/ __/ \ _/_/ / / _/_ ____________\___/ \______/__/__\\___/\__\_______/____________ ___\ \ _____________________________ ___\ \ \ \______ \_\ /_ \ \______ \ _\ / \_ ________________ \_\ / \_ \ / / \_ \ _/ \ / / / \ / //_________ ___________________\______________ _________// ---------\_______/--------------------------------\_______/--------- : : : Phantasy Star Portable 2 (C) SEGA : . . RELEASE DATE...: 2010-09-26 SYSTEM....: PSP . GAME TYPE......: RPG FILE......: rftd-psp2.* . . . __:____________. .____________:__ | __|\________________________________________/|__ | | | . r e l e a s e n o t e s . | | __|_________| ____________________________________________ |_________|__ | \/ \/ | : : . per aspera ad astra . . . __:____________. .____________:__ | __|\________________________________________/|__ | | | . g r e e t s . | | __|_________| ____________________________________________ |_________|__ | \/ \/ | : : . ACCESSION - ANTHROX - ARCADIA - BACKLASH - CENSOR - CLASS - CREST . DCS - DVN - EURASiA - F4CG - FAIRLIGHT - GENESIS - HYBRiD - PARADiGM . POSTMORTEM - QUARTEX - RAZOR - SCOOPEX - SNEAKERS - TRSI - TYRANNY . : . . : | \ ____________________________________________ / | | |\/ \/| | __|_________| - veritas et aequitas - |_________|__ | |_______________________ _______________________| | : | \/ : : : : ................. : : . : ':::::::::::::::' : . . . ':::::::::::' . . ::::::::: . ::::::: . ':::::' ..:::::::::.. . .:::::::::::::::. . : .::::''':::::'''::::. : ::.. .:::' ::::: ':::. ..:: :::::::::::: ::::: :::::::::::: ::::::::::::::::::::::::::::::::::::::: :::::::::::::::::::i::::::::::::::::::: ::::::::::::::::::::::::::::::::::::::: :::::::::::: ::::: :::::::::::: ::'' ':::. ::::: . :::' '':: : '::::...:::::...::::' : ':::::::::::::::' ':::::::::::' ::::: ::::: ::::: .:::::. ::::::: .:::::::. ::::::::: .:::::::::. .:::::::::::. .:::::::::::::. . ::::::::::::::::.